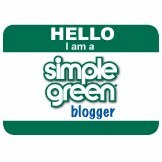 I received a Polder Style Station for this review I was not compensated for this post . My opinions are my own and not by any means influenced by any other part. Polder has been a top supplier of quality home goods since 1976. The main goal of the brand is to deliver products that make daily household tasks easier through the many different products offered in their website. I have been looking for a storage solution for my hair tools that is also functional and I found a product at the Polder website that quickly caught my attention for its design and functionality. The Polder Style Station features a sleek Rugged stainless steel and plastic with the space to place 3 different hair tools …I have my hair dryer on the central compartment, my curler on one side and my 1 ½ flat iron on the other side. The unit is designed so you can easily hang it on a towel bar or simply place it on top of your bathroom sink. 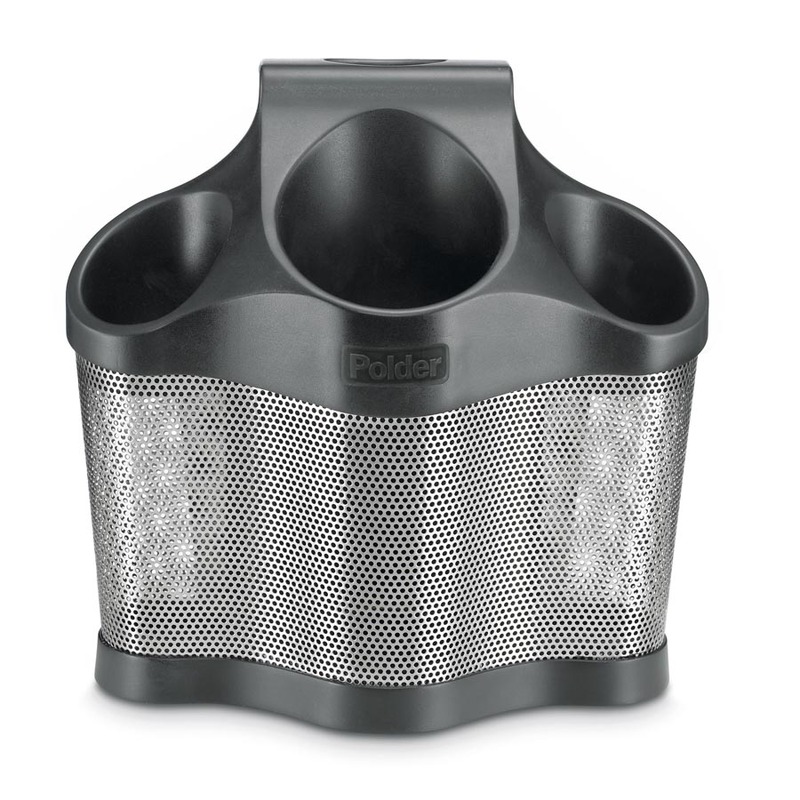 The Polder Style Station has Stainless steel mesh to allow air flow along with high heat silicon inner base pad to let hot items safely cool when stowed on the unit. On the back of the Style Station you find a bin to keep the cords of the different tools you have stored, neat and out of the way so you can keep all your styling tools handy and organized. I looked at different styles and designs of similar items, but I really liked the lines on the design and the versatility of this compact unit with the size being one of the big sellers for me as I want to keep my bathroom as clutter free as possible and this unit has the perfect combination between design and versatility while keeping it in the compact side. The Polder Styling Station is 9.75″ (L) x 5.75″ (W) x 9.5″ (H), just big enough to hold my main styling tools without taking up all of the bathroom counter space. I also like the materials used as it gives this unit a modern and simple design that can be easily integrated on most modern bathroom designs. Price is also a plus on this unit as it retails for only $24.99. Handy, attractive and at a reasonable price tag this unit is really a good option to keep your hair tools and make your hair routine a mess free one…No tangling cables and this helps you to prevent your bathroom counter from getting damaged by hot tools. 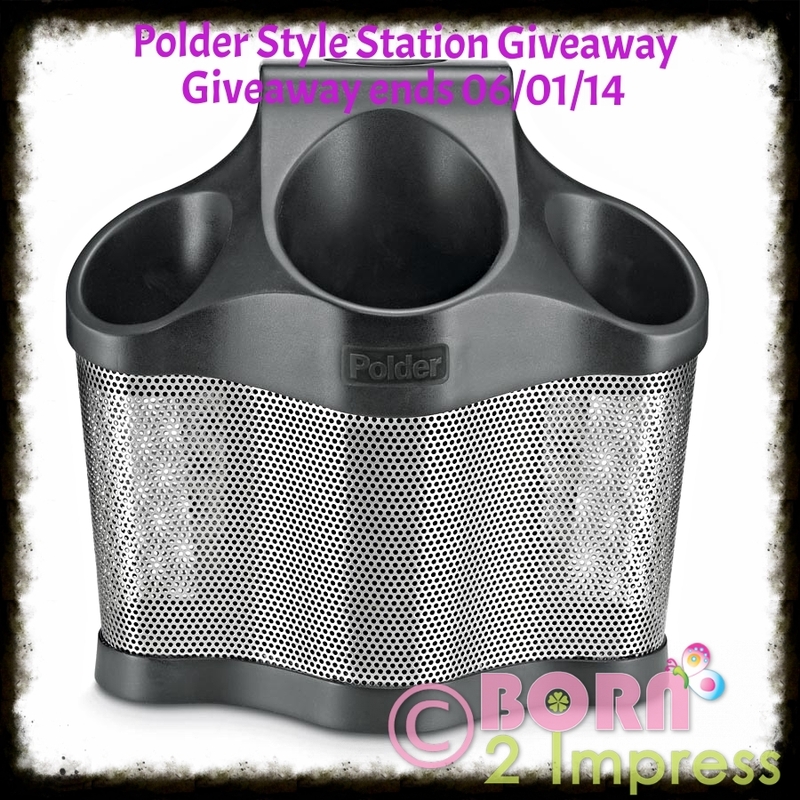 Polder has kindly offered one lucky Born 2 Impress reader, the chance to win a Polder Style Station! Please use the Giveaway Tools form for ALL entries. Except for the initial comment. Please leave comments containing 3 – 4 sentences in order to qualify- Comments like I like this or I want to win will not count! 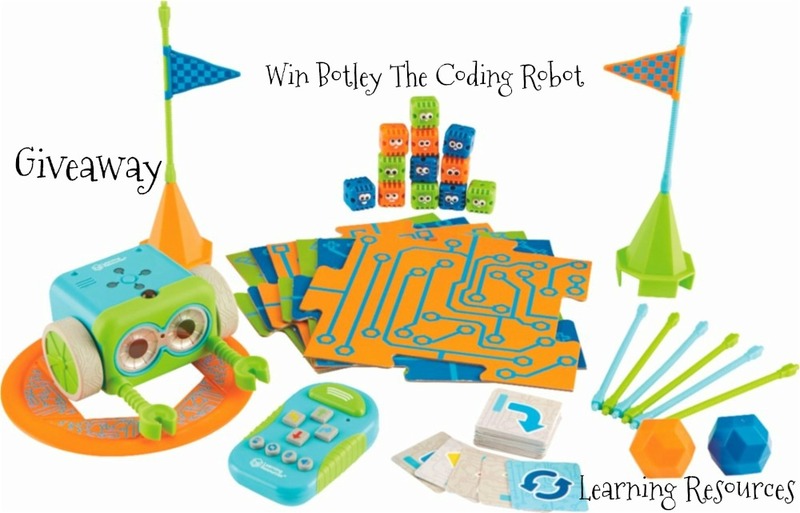 Contest open to the US and Canada to residents with a valid street address. No PO Boxes please. Winner(s) are selected randomly through the use Giveaway Tools unless otherwise noted and will be announce on the contest closing date. To claim your prize(s), you must contact Born 2 Impress within 48 hours of the contest closing Prize(s) not claimed by (48 hours) will be forfeited and a new winner will be selected. I’d love their “Super Light Shopping Cart”. Ours is over 30 years old (really! ), and is about to fall apart. Plus, it’s all clunky and heavy. Plus The front wheels on Polder’s cart swivel in all directions. I can use that! I like their Tissue Pod. It would really help to clear my counter in the bathroom. My best styling tip is to spritz a little bit of leave in hair conditioner before styling your hair. This Styling Station is awesome. It even matches my bathroom. 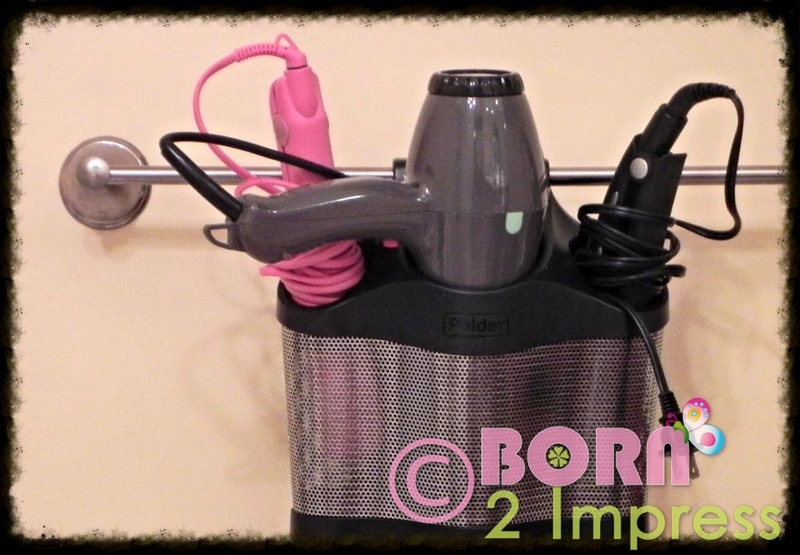 I don’t have a caddy of any type to hold my hair dryer , curling iron and brushes. It’s all sitting on the sink. My only hair tip is if you have fine hair that doesn’t stay put with hairspray remember to look for the words freezing spray but remember you better have it where you want it. This should be your final step. The 3-Step Ultralight Step Stool I found at Polder would also come in real handy. Don’t tell I said so but the Mr. is short too! With this he would be able to get me what I can’t reach (no broken bones for me). Thanks for sharing this wonderful review and giveaway. I visited Polder and I would love to have the Expansion Dish Rack, the toilet brush canister, 2-tier freestanding dryer, and the 3-step Ultralight Step Stool. I like the Mini Retro Bin, I could use that for so many things, what comes to mind right now is to use it for my crochet materials. Could use it in my bedroom to store things in. And I think it could be used as a tool box. I’m sure that I could come up with mores things I could use it for. I like their dish racks a lot but I am loving the Styling Station!! That would be such a nice thing to have for organizing. I like the Tissue Pod. It looks like it would be handy. I wish it came in more colors. That would be good. My oven timer is useless, you can barely hear it, SO if the DIGITAL TOUCH-SCREEN TIMER is loud enough for me to actually hear it, I’d love to have one. I have no styling tricks really, other than to NOT shampoo your hair on a day you want to especially style, too fine and too clean hair will not curl or set as well. Sounds wierd but I know it is true by trial and error. Superlight Shopping Cart would be great for when I attend my knitting conference, which has a huge market and OF COURSE I buy loads of yarn…. I would love the Expansion Dish Rack. We don’t have a dishwasher and this is one of my favorite dish racks that I’ve seen! It has all the compartments we need and is so sleek and modern looking. I would also like to have the hot sleeve. I do not have any super secret styling tricks but I do love to twist my hair when it is wet and then curl the bottoms when it is dry. It gives my hair a lot of body. I would love to have the 2-Tier Freestanding Dryer Rack from Polder. I would really love to have the Superlight Shopping Cart. Thanks for the awesome giveaway. I had actually been looking for one of these carts for my mom and now I know where to get it. I also like the tissue pod; love that it does double duty! My hair tip is to not put any oil-based products before heat styling, only after.